Are you Looking for someone To Service or Repair Your Volkswagon With the Same Equipment and Expertise As The Dealer, Without The Big Dealer Price? 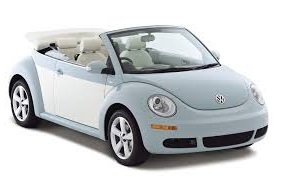 At Professional Auto Care, we are experts at servicing and repairing all Volkswagon models. We use the same equipment and techniques as the dealer does for less than half the cost. If you're looking for the best option for your Volkswagon's service or repairs and you're in the market to save 50, 60 and even 70% off, you've come to the right place. We're invested in ongoing training for our people, so are up on the latest Volkswagon quirks. Our state-of-the-art service and repair equipment makes complex and complicated issues as simple and straightforward as can be. And, with our exclusive 3 year, 36,000 mile warranty, using Professional Auto Care is a no-brainer. Who doesn't want to save money and headaches all at the same time? Local dealers will try to fool you into thinking their costs are justified. You're smarter than that! Start saving now on service or repairs with us, Professional Auto Care. Print out the coupon below and give us a try, you'll be glad you did. Print Out This Coupon & Use It Before It Expires!! Volkswagon / Volkswagon Synthetic Blend Lube, Oil & Filter PLUS A FREE 68 POINT VEHICLE INSPECTION to uncover any potential problems. * Premium Lube, Oil and Filter change with top quality oil and filter (up to 5 quarts of oil). Since 1991, Jon Taglialatela has been hard at work providing the highest quality auto repair Rochester has to offer. Our staff includes Volkswagon experienced experts so when you don't know exactly what the issue is, we can help you with a diagnostic check. Rochester customers have come to recognize us as the most dependable Volkswagon team that also specializes in foreign auto repair - saving people many times, up to thousands. Rochester auto repair services do not always include the latest technology and top-notch professionalism for Volkswagon autos. However, as an ideal and expert car mechanic Rochester drivers will notice the difference with our services. We will diligently take the time to pinpoint the unique auto problem you are experience. In addition, when it comes to routine maintenance, no one is faster or more thorough than our team of Volkswagon experts. If you are looking for an expert auto mechanic, Fairport, Pittsford, Penfield and Rochesters' team at Professional Auto Care is your ideal Volkswagon auto repair shop. Give yourself plenty of time to explore the pages of pro-autocare.com for informative articles, valuable coupons just for your Volkswagon vehicle and other online resources from the hardest working garage in the Rochester area.